Virginia's embattled governor, Ralph Northam, insisted, in an interview to be aired on CBS Monday, that he would not resign over a racist yearbook photo from the 1980s that was recently made public. Fairfax has said that encounters with both women were consensual. On Sunday, a spokeswoman for the lieutenant governor said he was "aggressively exploring options for a thorough, independent, and impartial investigation" of the allegations. 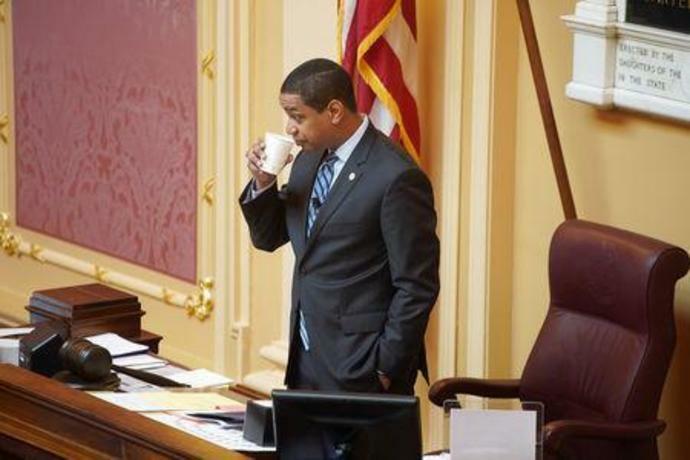 The political chaos surrounding the state's top elected officials has extended to the second in line to succeed Northam, Democratic Attorney General Mark Herring, who admitted that he had once darkened his face to imitate a black performer. The possibility all three top leaders of Virginia's executive branch would have to resign raised the prospect of the Democrats losing the governorship to the Republican speaker of the state House, who is next in the line of succession.